As the 70th anniversary of the liberation of the Nazis' most notorious concentration camp approaches and survivors are dying, historians grapple with how to preserve the memory of the Holocaust. As the 70th anniversary of the liberation of the Nazis' most notorious concentration camp approaches, historians are grappling with how to preserve the memory of Auschwitz and the Holocaust. No one knows how many of the survivors remain alive today, but it's a group that is dwindling as age takes its toll. To mark the liberation's anniversary, about 300 former Auschwitz prisoners are travelling to Oświęcim, Poland, to pay tribute on Jan. 27 at Birkenau's Gate of Death, the unloading ramp at the camp's rail entrance. "In 10 years, during the 80th anniversary, we'll not have this opportunity," says Pawel Sawicki, a press officer for the Auschwitz-Birkenau State Museum. Ten years ago, he explains, 1,500 survivors commemorated the 60th anniversary. About 1.1 million people who passed under the camp's infamous sign "Arbeit macht frei" (one translation reads "Work will set you free") between 1940 and 1945 never left, many of them murdered in the camp's gas chambers. Only some 200,000 are believed to have survived that fate. The Red Army freed 7,000 of these survivors from Auschwitz on Jan. 27, 1945. In the days before liberation, the Nazis had removed nearly 60,000 others, forcing them to march to other camps. Some were later liberated at other concentration camps. A small number of survivors escaped, while others only stayed at Auschwitz temporarily before being relocated to nearby labour camps. Emerich Fuchs, 91, was 19 the day soldiers emptied a Romanian ghetto where he lived and herded him and the other residents into a cattle car for the three-day journey to Auschwitz. He was considering making the trip from his Montreal home to mark the 70th anniversary of the liberation. "My head says yes but my body says no for the moment," he says, citing excruciating pain in his hips. It would have been very hard to return to Auschwitz, the last place he saw most of his family alive, he says. "It was brutality and murder from the beginning to the end," Fuchs recalls. He remembers arriving at Auschwitz, where the air smelled foul. Fuchs later learned that odour was "burned flesh." An armed guard instructed his mother and sister to join a line on the left, filled with other women and children, as well as elderly people. They were forced straight to the gas chambers. About 10 days later, he and his father were transported to a satellite camp, Dornau, where they received very little food and performed hard manual labour. His father died three days before the Russians liberated it. By then, his dad looked like "a living skeleton," Fuchs says. "I don't know really how I made it," he says. "It's a wonder." Mordechai Ronen, 82, born with the family name Markovits, will be making his second visit to Auschwitz for the commemoration ceremonies. 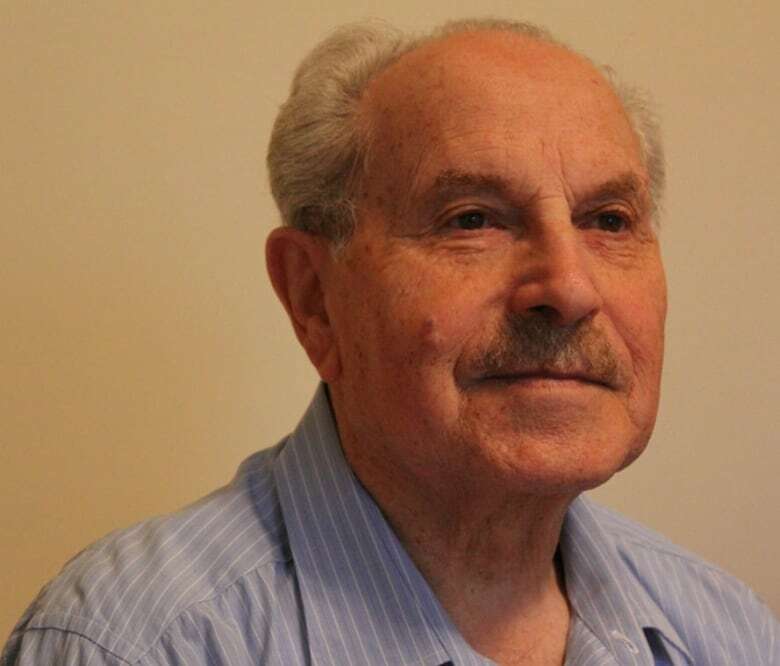 At nearly 12, Ronen saw Auschwitz for the first time as a prisoner after soldiers forced all the Jews in his Hungarian town into a ghetto and, two weeks later, shipped them in cattle cars to the camp. Dr. Josef Mengele, the Nazis' Angel of Death, sent Ronen's mother and two sisters to the gas chambers on arrival. Young Ronen made a life-saving decision when he held onto his father's hand and joined the line of men. He spent about two weeks at Auschwitz, where he witnessed soldiers using an infant for target practice and slept on piles of corpses to avoid selections for the gas chambers. He and his father were moved to a nearby labour camp, where the brutality continued. One day, his father told Ronen he could no longer get up to work for the cement brigade. Ronen last saw his father as soldiers took him away. It's the only day he remembers crying, and the day he decided to survive. Ronen was liberated from a third camp, Gunskirchen, and remembers walking to a nearby town, knocking on a resident's door and asking if he could take a shower. Ronen, who prefers to be called a "victorer" rather than a survivor, first returned to Auschwitz in 1999, when he guided then prime minister Jean Chretien around the grounds. It's important to Ronen to show the world he's alive and to share the history of the Holocaust. "Maybe the world will realize what we went through and it will be the end [and we are] going to have peace and quiet in the world," he explains. These survivor stories will be the focus of the anniversary, which won't include any political speeches, Sawicki says. When all the survivors have died, the opportunity to hear them tell their stories and to ask them questions will be gone as well. 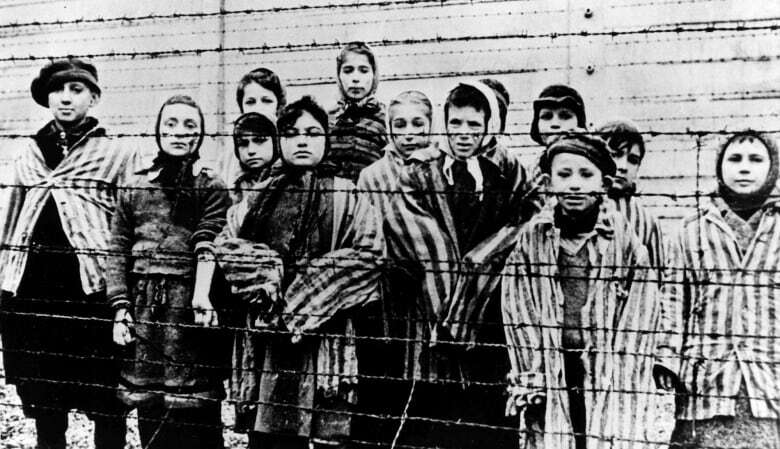 Then, the physical structures of Auschwitz and other concentration camps will be the only remaining witnesses, says Catherine Lewis, a history professor at Kennesaw State University in Georgia, who also runs its Museum of History and Holocaust Education. The famous sign "Arbeit macht frei," or "Work makes you free," hangs at the entrance of Auschwitz. (Irek Dorozanski/Reuters)​"In some ways, the buildings, the barracks, the bunk beds, the toilets are all kind of a silent witness to this historical moment," she says. That idea propels the extensive preservation efforts at Auschwitz, she says. Auschwitz includes 155 buildings, 300 ruins and thousands of objects, including prostheses, works of art, and pots and pans. Preserving everything in an authentic state is a "huge challenge," Sawicki says. The constant cycle of conservation costs about four million to five million euros annually. The Auschwitz-Birkenau Foundation is raising a €120-million fund to finance the operation. Sawicki says it hopes to announce its success or near-success at the 70th anniversary. Conservationists at the site face challenges, for example how to preserve plastic toothbrushes victims packed. Workers have had to cut down some of the original trees to protect buildings in case the older trees fall. New trees are grown from the seeds of the old ones. Conservationists have decided not to preserve hair cut from the victims. Mounds of hair are on display in safe conditions, but they will eventually disintegrate. "We cannot say that in 2,000, 3,000 years, people who visit the site of the Auschwitz memorial will see exactly the same," Sawicki says. "What would make people in their leisure think about wanting to go to the Oklahoma City bombing site or Pearl Harbor or Dachau or Auschwitz?" she asks. "And, what are they sort of hoping to get from those moments?" There are many answers, Lewis says. Many survivors are motivated by a "never-forget mentality" she says. They feel obliged to share their stories with the next generation. For children and family of survivors, a trip can be the equivalent of visiting a family cemetery. Those who have no blood connection tend to be "absolutely fascinated" by the history of these sites, she says. They tend to be driven by a combination of curiosity and honouring the history. "You feel you have to stop and bear witness to moments of destruction." 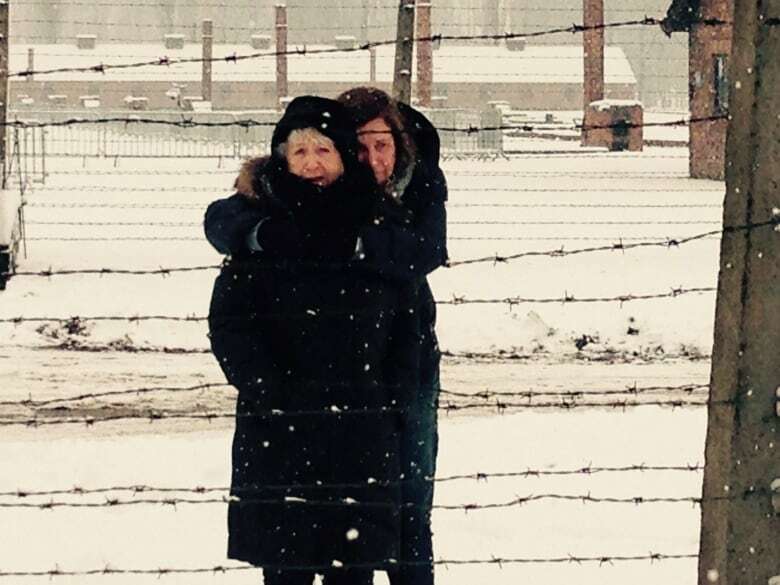 Seeing Auschwitz is different from learning about it in a classroom, Lewis and Sawicki agree. "You can read about the Mona Lisa. You can look at photographs of the Mona Lisa," Lewis says. "But until you're standing in front of it, there's something about being in the presence of a real object."